Hi guys! Wish to gain popularity? Want your chio/handsome selfie plastered on Cathay Cineleisure Orchard walls? Then this blog entry will be perfect for you! So Cathay Lifestyle have an on-going campaign: Selfie of the month. I’m sure most of you been into Cineleisure Orchard! By now you may have seen an extremely huge poster of a girl selfie near the lift, I assumed! Alright so the selected candidates get to have their selfie of the month plastered on Cathay Cineleisure Orchard walls! I MEAN not everyone get this opportunity, but this time round this opportunity is open for all so get your camera, mobile phones ready and start snapping away! Who knows you might be the lucky one! 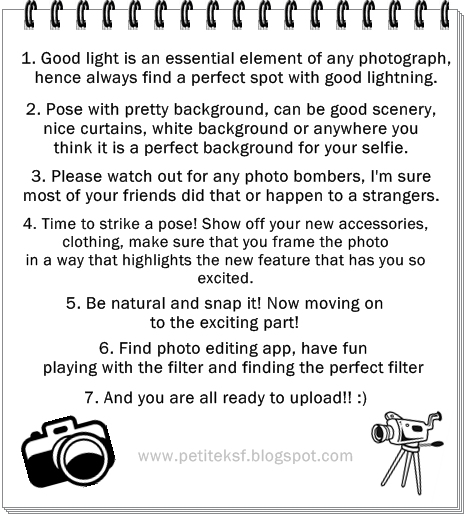 Don't say I'm not good okay, here's some tips for perfect selfie! SO NOW... You know how to take a selfie liao right?!! Here's a few steps for you to follow! JOIN #mycathayselfie on Instagram now!!! !